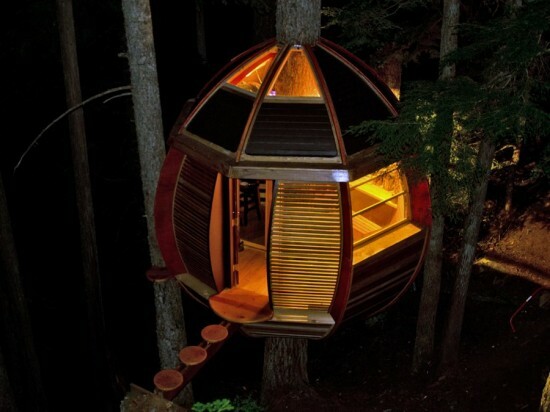 Hemloft, named after the hemlock tree supporting it, is definitely one of the most charming tree houses I have ever seen, but it’s actually the story behind it that’s most fascinating. Its creator, Joel Allen, was 26 when he decided to quit his job as a software developer and pursue a get-rich quick scheme. That didn’t exactly work out the way he planned, and he soon found himself strapped for cash. 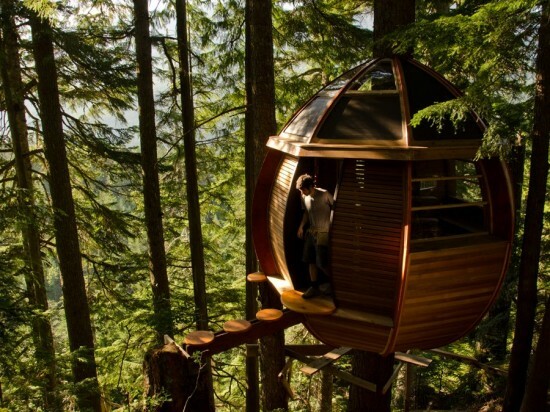 Joel found his calling as a carpenter, and one day got the brilliant idea of using his new-found talent to build a wooden tree house on Whistler Mountain, right in the middle of one of the world’s most expensive housing markets. He didn’t have the money for it, but that didn’t mean it couldn’t be done. The egg-shaped house he envisioned would have cost him tens of thousands of dollars in materials, but it was the land he was going to build it on that he was worried about. He couldn’t afford to buy a strip of land on Whistler Mountain, right on top of some of the most luxurious homes on Earth, so young Joel decided to just build his lovely Hemloft on Crown land he didn’t own and just hope the wrong people didn’t find out about it. When he began work on his round cabin, in 2009, he spent $6,500 on the roof and frame alone, and quickly realized the rest of the materials he needed would be much more expensive. He couldn’t afford to work on it any longer, so for two years, the Hemloft remained a work in progress. It was searching for a couch in Craiglist’s free section that got Joel Allen questioning what else he might find in there to help him finish his wooden dream house. Soon, he was using his carpenter skills to turn ash hardwood floor into a cabinet, or a double sliding glass door into windows for the Hemloft, and he just kept pressing the refresh button on Craiglist to make sure he didn’t miss out on great materials people were getting rid of. It wasn’t long before his apartment became full of stuff for the Hemloft, and Joel and his girlfriend, Heidi, barely found a place to sleep anymore. He ended up saving over $10,000 on materials, and in August 2010 completed the now famous Hemloft. 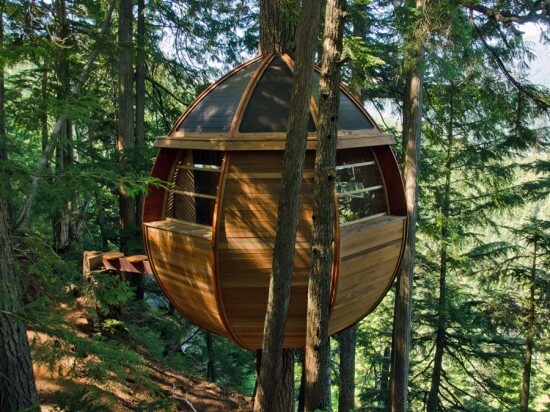 Allen believes building a tree house on Whistler Mountain, among the other expensive houses would not be looked favorably upon, so he’s now looking for safe ways of revealing the location of the Hemloft, to keep it from being destroyed. The young carpenter is currently taking into consideration opening it to the public, making it a geocaching location or turning it into a campsite. Whatever he decides to do with it, we’d like to congratulate him on his hard work and resourcefulness building such an extraordinary tree house.